The oak tree is part of the beech family, a large genus with over 200 species, most of which are found in the Northern Hemisphere. 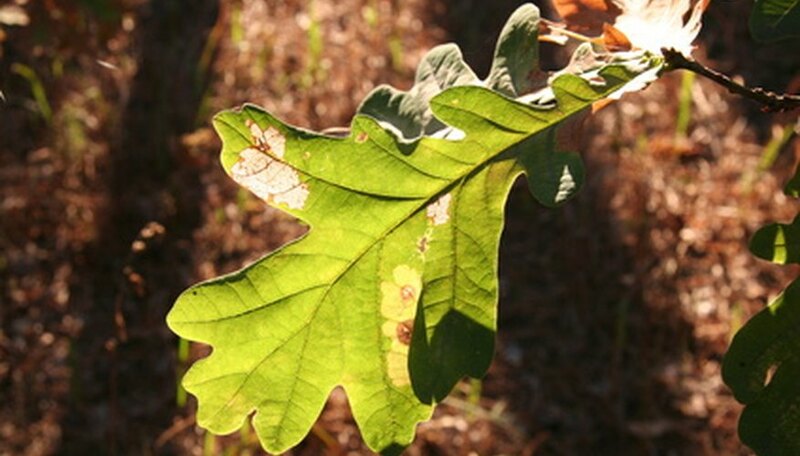 Native oaks are found in different habitats, from swamps to dry land in higher elevations. The oak is a slow-growing, long-lived tree. It is used for its timber, for ecological projects such as soil retention and is a habitat and food source for animals. Oak is a hard, durable wood. Oak was used during colonial times for ship building, fence posts and for oak barrels because of its water resistance, according to the “Field Guide to Trees of North America,” by the National Wildlife Federation. The swamp chestnut oak was also called the basket oak because its wood was easily split into thin strips and was used to make baskets for carrying cotton. Today, oak is used for railroad ties, flooring, firewood and in furniture building, because it readily absorbs stain and varnish. Oak trees, specifically the interior live oak, scrub oak and coast live oak, are used in hillside stabilization projects because of their extensive root systems. The coast live oak, in particular, has horizontal root branches that aid in anchoring the tree, according to USDA Forest Service. Oak trees, specifically the pin oak, the chestnut oak and the Northern red oak, are planted along city streets and in parks, such as Central Park. The live oak, an evergreen oak found in the Southeastern United States, is used as a coastal wind break. The acorn, the fruit of the oak, provides a food source to numerous animals, including squirrels, chipmunks, bears, deer and birds, such as ducks, woodpeckers and pigeons. The acorns from holly oaks are fed to pigs. Swamp chestnut oaks were also called cow oaks because its acorns were fed to the cattle of early settlers. The oak itself provides shelter to nesting birds and mammals and deer and other animals eat the twigs of the tree. The Northern pin oak is the home of the endangered Kirkland's warbler. California live oak forests are the habitat of reptiles and amphibians, according to “The Encyclopedia of North America Trees” by Sam Benvie. Caroline Fritz has more than 20 years of writing and editing experience, mainly for publications in northwest Ohio. She is currently an editor for a national technical magazine focusing on the construction industry. She has a Bachelor of Science in journalism from Bowling Green State University in Bowling Green, Ohio. When Do Black Walnuts Fall Off the Tree?